School may be starting again, but summer in San Francisco is just heating up. For those of you unfamiliar with our beautiful City by the Bay, let us fill you in on a little SF secret; the temperatures stay warm and the skies sunny all the way through October. With a million ways to create your own outdoor adventure, this is the best time to visit. When you stay with us at Hotel VIA you’re just a few steps away from the South Beach Harbor and all the exciting Bay adventures it has to offer. 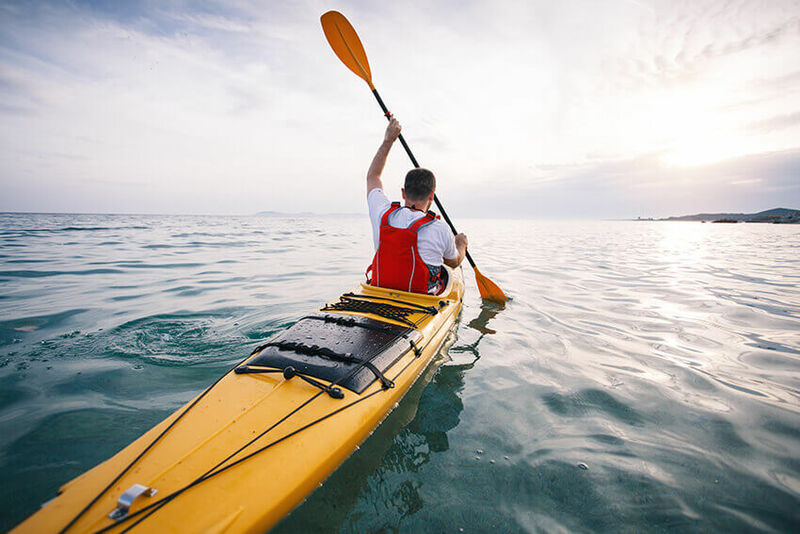 While one has many options when it comes to exploring San Francisco’s magnificent waterways, our guests are lucky enough to be staying right across the street from the best kayak rentals in the city. City Kayak, located at Pier 40, is San Francisco’s outfitter for kayak, SUP, canoe and surfski excursions. 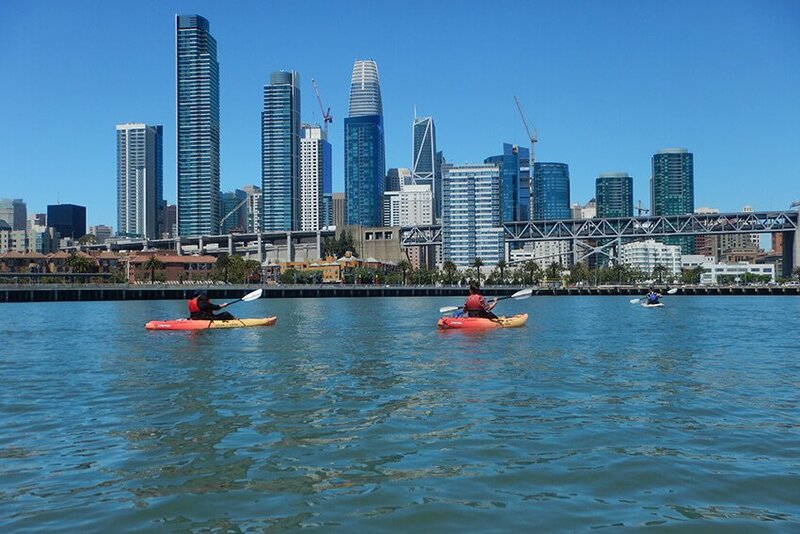 Join a group event, host a private event, take a lesson, follow a guide, take a twilight trip, kayak under the full moon…however you want to explore the SF waterfront, City Kayak has you covered. Being the big Giants fans that we are, our favorite kayak adventures are all about America’s favorite pastime. 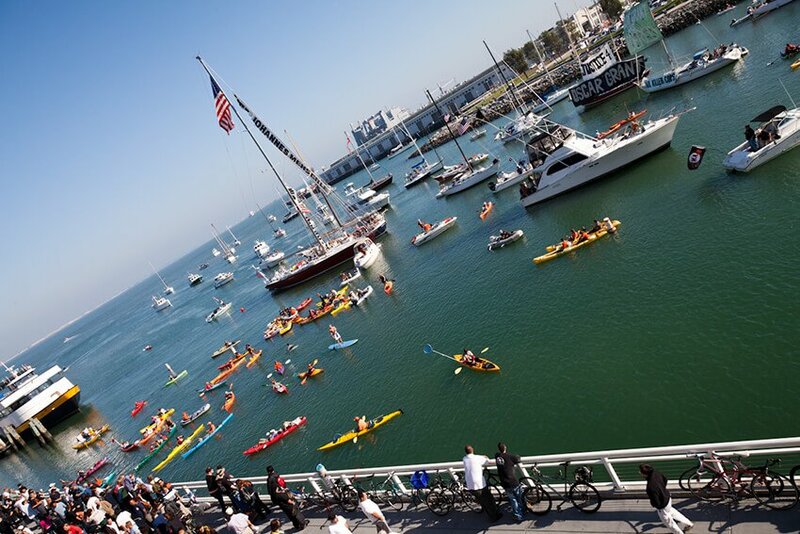 Enjoy the McCovey Cove Experience during a day game and wait for that elusive home run ball to land at your feet, or paddle to McCovey Cove on an AT&T Park fireworks night and enjoy the show while relaxing in the water. You can even make a whole baseball-centric weekend out of it! Catch a Giants game one day and explore the cove in a kayak the next. However you choose to enjoy our gorgeous waterfront, Hotel VIA is the perfect home base—yes, pun intended. Spend the day exploring the Bay in a kayak and then retire to our rooftop lounge to enjoy the waterfront from a whole different angle.